from CSV or Excel file. 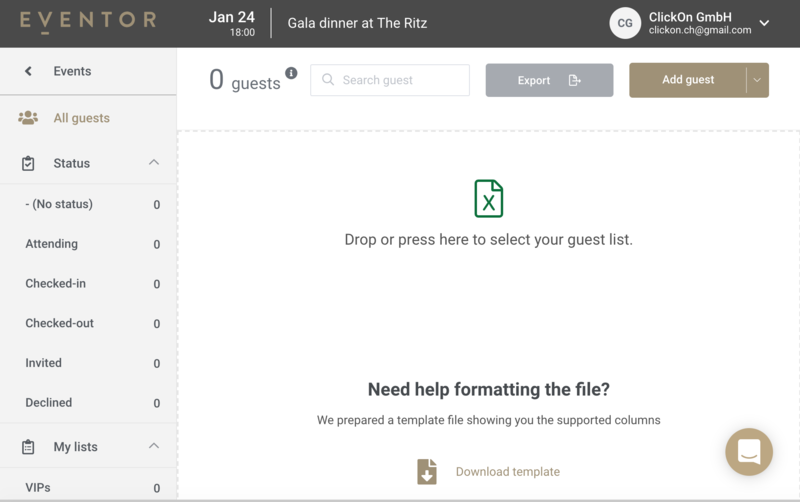 If you do not have your guest list in Excel yet, you can always download our ready to import Excel template here. To import guests from Excel simply drag and drop your Excel guest list to Eventor.app, see screenshot below. Once you have dragged and dropped your list you will see the preview of its content and you can start matching columns. In order for the import to work you must match 2 mandatory columns First name and Last name. Until these are not matched to the columns in Excel, the Import button below will remain inactive. 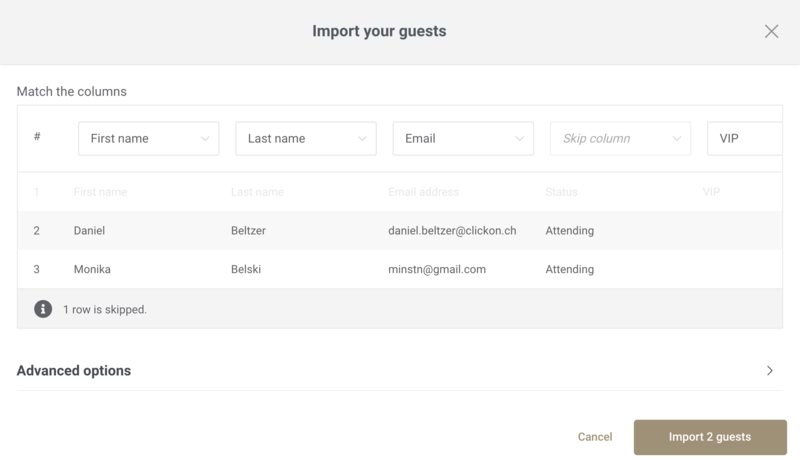 Once you matched the mandatory columns you can press the Import button adding all the guests to your event. Guests imports can be incremental, you can add them in chunks. However, please make sure you are uploading the final guest list only as we are not matching the duplicates automatically. You will have to import your list and manually delete any duplicate data. To import guests to the non-empty event look for the Add guest button and press expansion arrow icon, the option Import Excel/CSV will appear (see below). After hitting the button Import Excel/CSV, the process will be exactly the same as for the empty events. In case you want to delete all existing guests and replace the list, please check this article here section Bulk guest deletion. 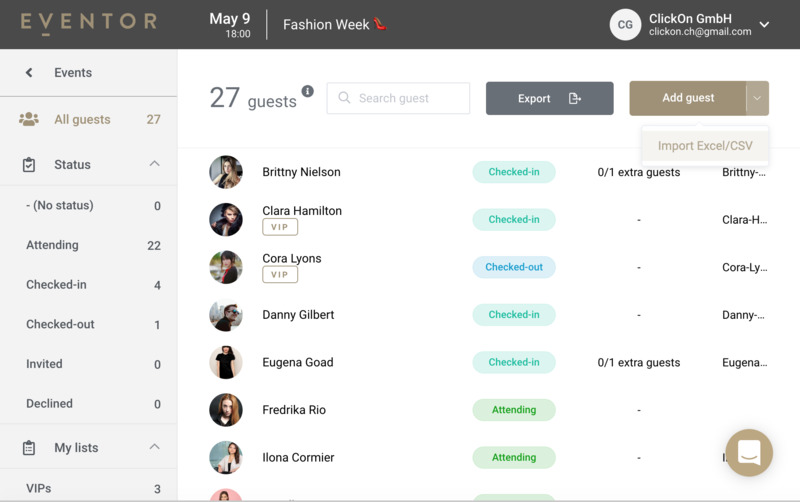 All guests are imported with status Attending by default, this way you will be able to see them in the mobile app. It is however, possible to set the status of the imported guests in the Advanced options. You may also match the Status column, if you have one in the Excel/CSV, this way the Advanced Status option will be ignored.